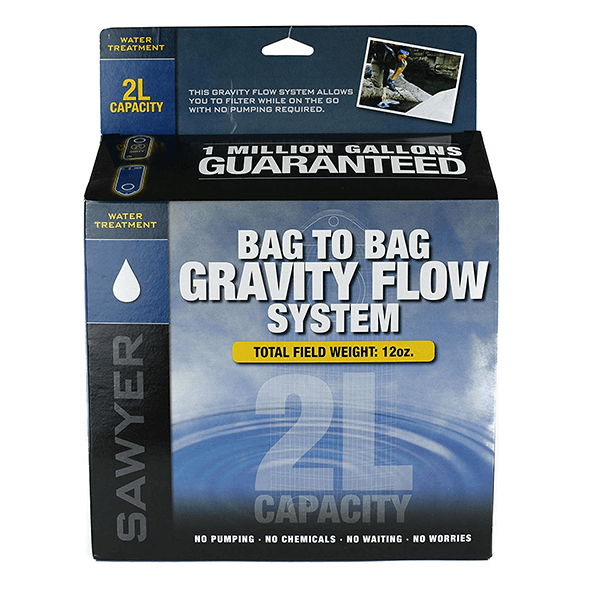 Sawyer’s Complete Water Treatment System provides a safe and highly effective way to filter water with the bag to bag gravity flow system — no pumping, no waiting, no chemicals, and no worries. 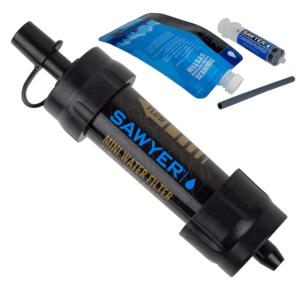 SKU: SAWSP184 Category: Water Filtration and Treatment Brands: Sawyer. 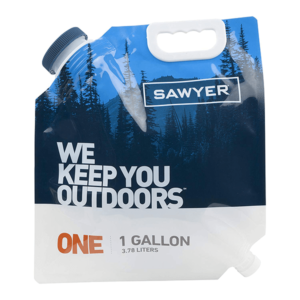 Includes the Sawyer hollow fiber membrane Squeeze Filter, faucet adapter, drink tube, quick-release hose adapter, detailed instruction book, and two 4-liters bags (grey marked DIRTY and blue marked CLEAN). The fast flow hollow fiber membrane uses pore sizes so small that sediment, bacteria, protozoa, cysts, and other contaminants are removed to provide you with the highest level of filtration available. The filter removes 99.99999% of all bacteria (like salmonella) as well as other harmful bacteria which causes cholera and E. coli and 99.9999% of all protozoa such as giardia and cryptosporidium — exceeding EPA guidelines for removal rates. 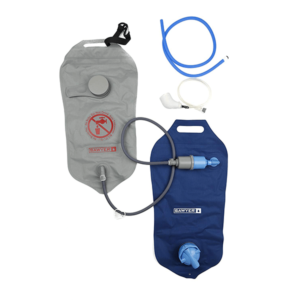 Ideal for backpacking, paddling, group camping, and emergency preparedness, the filtration process is practically hands free. Just hang the system from a tree or any source off the ground and watch gravity do all the work. In as little as 1-1/2 minutes you will have 2 liters of safe drinking water. You can even filter on the go by converting the clean water vessel into a hydration bladder for a pack with the included drinking tube. 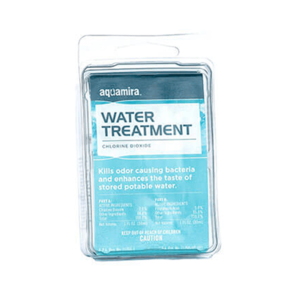 This filter does not remove dissolved solids, including chemicals and heavy metals.